The process of qualifying for Social Security Disability Insurance (SSDI) benefits can seem mysterious to many claimants. The number of rules and regulations that govern how the Social Security Administration (SSA) reviews and evaluates disability is daunting, to say the least, and unfortunately, make what seems to be a relatively straightforward disability claim much more complicated. Working with an experienced disability insurance attorney can make this process easier and more understandable, as well as providing a basic understanding of the parameters used to qualify someone for SSDI benefits. This understanding is even more important in light of recent news that the backlog for disability hearings is currently at over one million people and the average wait time for a hearing to be scheduled is 602 days. This huge lag between the submission of an appeal and the holding of the disability hearing means some claimants die before they have a chance to appear. Consequently, it is important to present the strongest claim possible from the beginning in hopes of avoiding the need to appeal a denial. Most claimants qualify for disability benefits under the medical vocational allowance provisions, and a discussion of the standards applied when the allowance is applicable will follow below. People qualify for SSDI benefits in two ways – fit within the criteria of an impairment listing in the SSA’s Listing of Impairments, or be granted a medical vocational allowance. Few people fit in within the impairment listing criteria because the requirements are so specific, and many conditions are not included. Thus, most disability claimants must rely on receiving a medical vocational allowance. Basically, the SSA must evaluate the effect of a claimant’s impairment on his/her ability to perform daily activities, particularly the claimant’s capacity to function at work. The SSA examiner will look at a claimant’s work history for the 15 years prior to the onset of the disability to determine what skills he/she has, as well as the claimant’s age and education. Based on this information, the SSA will decide if a claimant could perform past work or be re-trained to do another job. The lighter and less physically demanding work a person has done in the past, the more likely the SSA will find a number of other jobs the claimant could do, though claimants over the age of 50 are not typically required to learn new types of work. If no type of work is possible, a medical vocational allowance will be granted and SSDI benefits awarded. Determining a claimant’s functional capacity for work is based heavily upon the functional restrictions an SSA medical consultant finds a claimant suffers from due to his/her disability, called a residual functional capacity (RFC) assessment, which specifies a claimant’s ability to lift, stand, sit, concentrate and reach overhead, among many others. Taking the claimant’s past relevant work experience and the RFC assessment from the medical consultant, an SSA examiner will then apply this information to a grid the SSA uses to measure whether a claimant qualifies for a medical vocational allowance. Specifically, the examiner is looking at the claimant’s age, types of work performed in the past, recent training and transferable skills to see if a new type of work is possible. The older a claimant is and the fewer transferable skills possessed, the more likely a disability will be found. One of the key parts of receiving a medical vocational allowance is providing enough information to the SSA about one’s past job duties and tasks so the examiner can properly identify and locate the claimant’s job in the government’s dictionary of occupational titles (DOT). This document classifies a job’s physical and mental requirements, against which the SSA measures a claimant’s limitations. 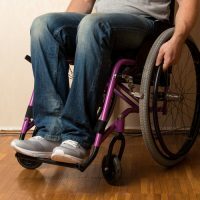 An experienced disability insurance attorney can help claimants properly flesh out past work history so the SSA will be more likely to accurately identify the work a particular claimant can perform. A lot hinges on the outcome of a disability claim, and to better ensure approval, work with an experienced disability insurance attorney to prepare and present your claim. Farrell Disability Law knows how difficult a disability is, and works to get clients the benefits they need and deserve. Contact the Jacksonville office for a free consultation.